Snap the columns and platforms together and go higher and higher! 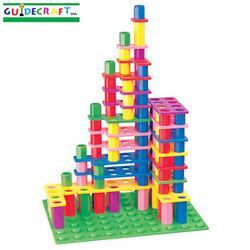 Build soaring towers or broad, multi-building complexes. AGES 3+.